A six-week Evening Course on directors influenced by Alfred Hitchcock. 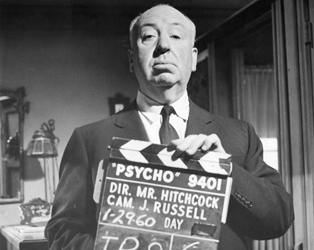 Such is the legacy of filmmaker Alfred Hitchcock that his name’s adjective instantly calls up expectations of suspense, mistaken identities and psychosexual drama. Filmmakers have long reflected his influence in varying degrees of imitation and tribute. From de Palma’s shameless thefts, to Gus Van Sant’s make-a-point, frame-by-frame colour remake of Psycho, to the Mad Men title sequence Vertigo tribute, Hitchcock remains one of the most dominant and recognisable cultural influences. For our evening course, running alongside The Genius of Hitchcock season, we have selected six very different films which in some way indicate the impact or inspiration of his work. Each week, following an introduction and screening, invited speakers will talk about the film and its ‘Hitchcockian’ elements. Some of our selection may well give you the pleasure of ‘waking up from a nightmare’; others will simply provoke you into wanting to see more of the original genius at work. €60 (including tea/coffee) for complete course (Concessions €55). Please book your place by calling Sharon Corrigan on 01 679 5744 or you can email scorrigan@irishfilm.ie. Film tickets not individually sold.